Get maximum flexibility in testing and integrate up to 199 sensors to PROFINET IRT simultaneously and in real-time. QuantumX is the ideal choice for quick results; in both basic and fully automated development test benches with small to high channel counts such as component, powertrain or durability test benches. 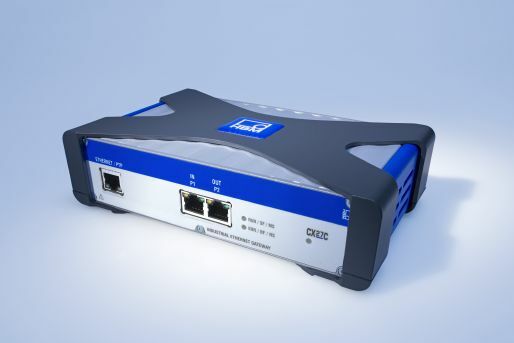 QuantumX CX27C offers PROFINET integration with real-time cycle times in the millisecond range and in parallel data streaming via Ethernet TCP/IP for flexible time synchronous analysis of the test specimen. When combined with HBM’s catman PC software, sensor and signal data can be viewed, analyzed, and recorded with sample rates up to 100 kS/s per channel, without affecting real-time automation tasks. The gateway modules perfectly play with the QuantumX and the ultra-rugged SomatXR family, even in a distributable way.